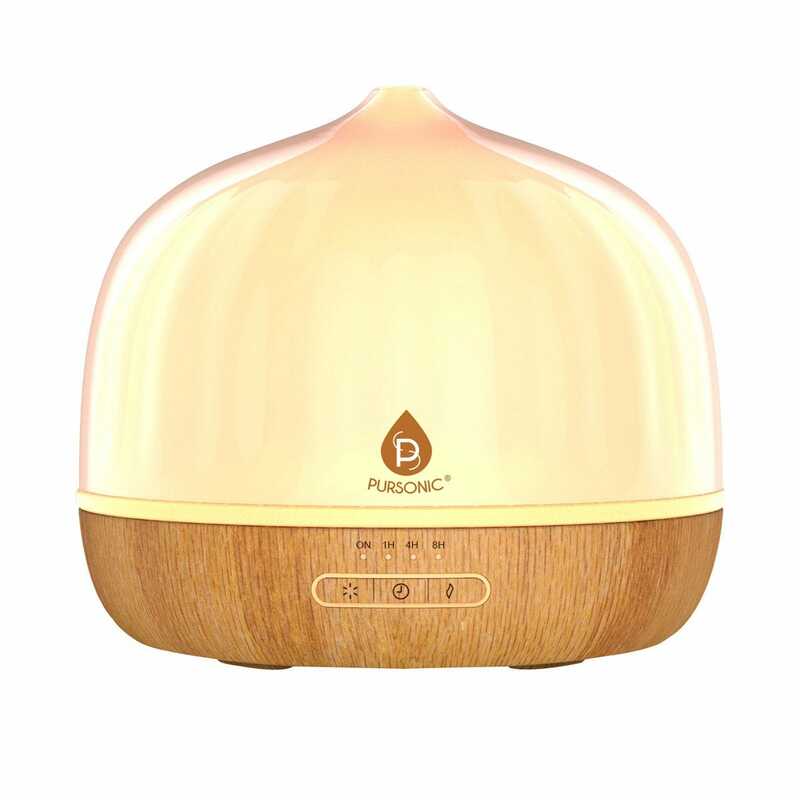 Essential Oil Diffusers are perfect for helping to relieve stress, improve your breathing, and assist with better sleep patterns. 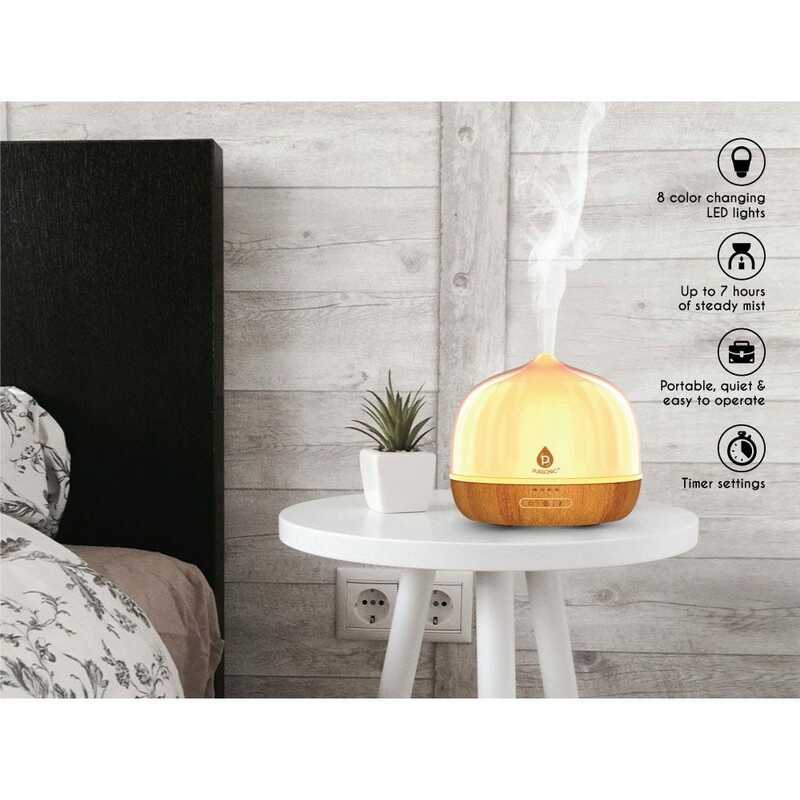 Our Essential Oil Wooden Accent Diffuser brings the warmth and texture of wood to your home or office with a simulated wood grain base. Simply add 500 ml of tap water to the 17 oz. water tank, then add 3-5 drops of your favorite essential oil to generate the misting process. 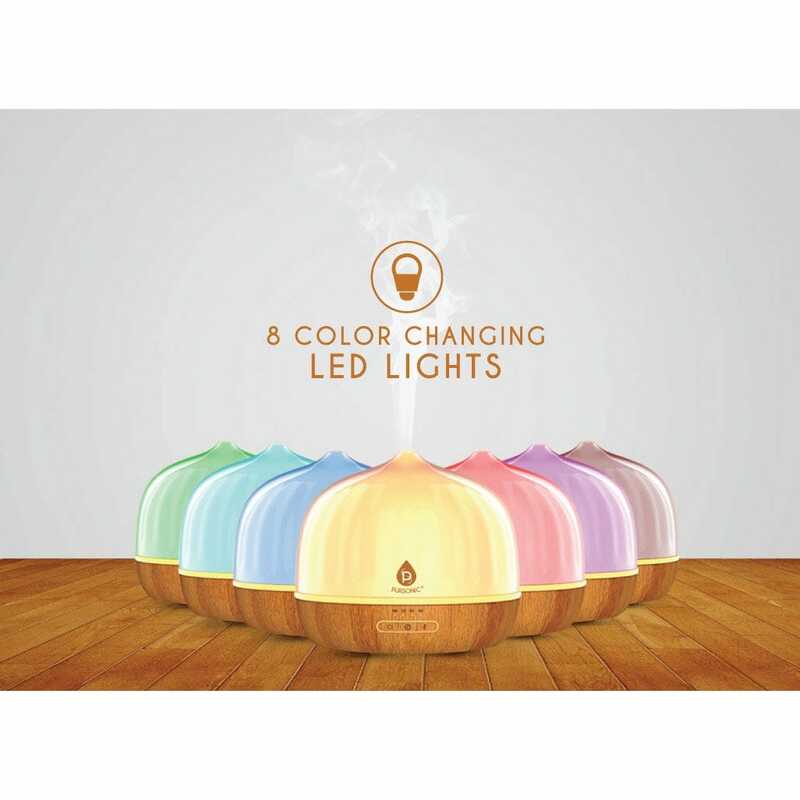 8 color changing LED lights set the mood for relaxation and comfort. The Diffuser has a whisper quiet motor and is easy to operate with three different buttons. Additional features include adjustable mist settings from high to low mist and diffuser timing of 1 hour, 4 hours, 8 hours or a continuous mist. Plugs into any standard household outlet.